XDL competition consists of several events. 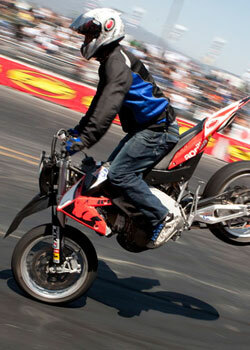 Most notably is the individual freestyle contest; which decides the national championship. During this event, athletes are given three minutes to piece together a run that covers all the required competitive elements. 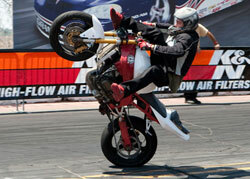 Other events include the Sickest Trick, Freestyle Burnout, and Circle Challenge competitions. For round three at Toyota Speedway in Irwindale, CA K&N was the title sponsor of the Circle Challenge. 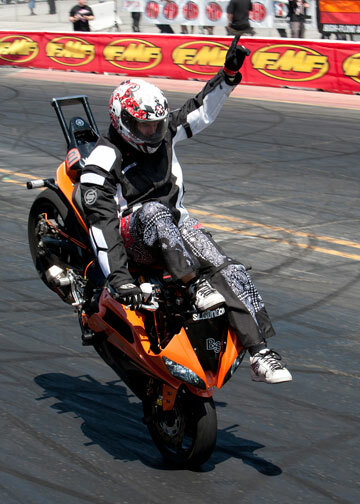 The K&N Circle Challenge is a head-to-head event in which riders compete to be the first to finish 10 circle wheelie rotations. 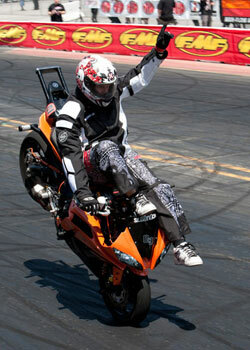 K&N caught up with several of its sponsored sportbike freestyle athletes during qualifying. 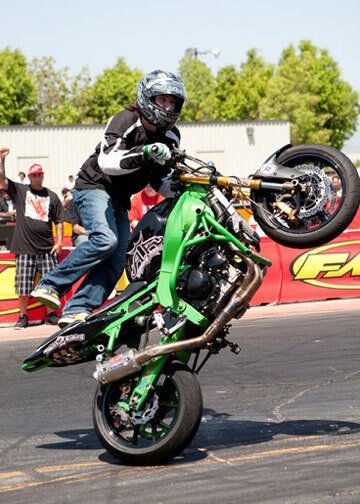 “Krazy” Kyle Rapport, a 24-year old hailing from Santa Ana, California, qualified well and had a strong finish in the Individual Freestyle event. Kyle finished eighth in round three and currently sits 12th overall in XDL Championship FMF Cup Points standings. Follow Rapport, Callicoat, Whitcomb and the whole XDL Freestyle Championship throughout the season at the K&N news site.